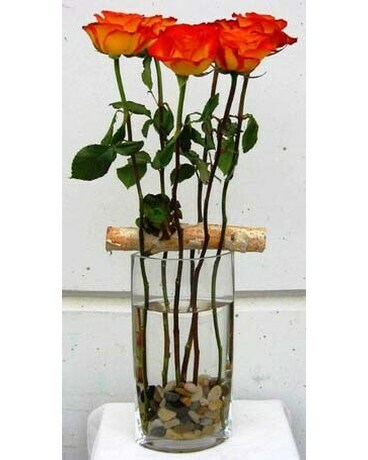 A different way to display roses. River rocks and branches are added to increase interests. Vase or container may vary and subject to change due to availability. Local purchase only.